JMU Law Firm is located in Florence, a city famous throughout the world for its history and culture, but also known as one of the main Italian hubs for commercial activity and export. 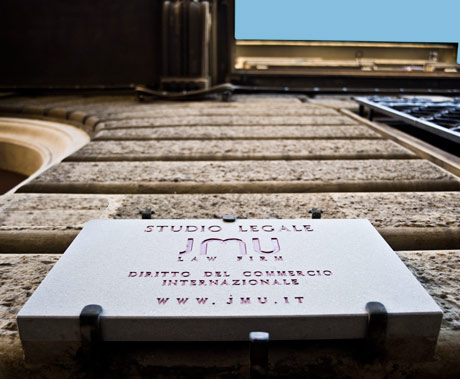 Since its foundation in 2003, the firm has established itself as one of the select Italian law offices which regularly provides its services on an international scope. Although we assist domestic clients of all sizes, more than 50% of our clients are non-Italian. Our focus, and perhaps the reason for our rapid growth, is to provide counsel which completes the transaction or resolves the legal conflict in a timely manner, while working to avoid unnecessary court procedures and the typical bureaucracy of the legal world. All attorneys are fluent in English and we work professionally in Spanish, French, and German. The majority have advanced legal degrees or law firm experience and qualifications from foreign countries, in particular the United Kingdom and the United States. A notary is available for any act which must be publicly registered in Italy, that includes all transfers of property, the formation of a business, and wills and other documents concerning inheritance. Our in-house surveyor department can provide all types of appraisals, technical and records inspections for any transaction concerning land or real estate. We offer a competitive billing structure and always focus on the satisfaction of our clients. For our areas of specialty, please see our Practice Areas.